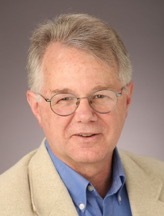 Clark Quinn, Ph.D., is a recognized leader in learning technology strategy, helping organizations take advantage of information systems to meet learning, knowledge, and performance needs. His approach is learning experience design, combining what we know about how people think and learn with comprehension of technology capabilities to meet real needs. He combines a deep background in cognitive science, a rich understanding of computer and network capabilities reinforced through practical application, considerable management experience, and a track record of strategic vision and successful innovations. His interest in computers and learning started at UC San Diego where he designed his own major in Computer-Based Education, and was part of a research project using email for classroom discussion (in 1979!). Clark worked at DesignWare as an educational computer game designer and programmer before returning to UCSD to acquire a Ph.D in applied cognitive science. He subsequently conducted research at the Center for Research in Mathematics and Science Education at San Diego State University, and at the Learning Research and Development Center at the University of Pittsburgh. Clark spent seven years in Australia advancing learning technology. At the University of New South Wales, he taught interaction design and researched and published on the design of engaging, effective, interactive learning environments. During his time in Australia he branched out and held the position of Multimedia Manager for Open Net and then served as Director of Education Technology for Access CMC, both initiatives of the Australian Government. He returned to California to take the position of Director of Cognitive Systems for Knowledge Universe Interactive Studio, where he built and led a team that developed an intelligently adaptive learning system. Clark has been involved in the design, development, and/or evaluation of a wide variety of educational technology for over 30 years. Projects in which he has led design include educational games, mobile learning applications, performance support tools, online conferences, web-based learning, effectiveness evaluation methodologies, and adaptive systems. He keynotes both nationally and internationally, and is the author of numerous articles, chapters and four books. In 2012 he was awarded the eLearning Guild’s first Guild Master designation.